Her name became known in almost every Indi­an house­hold, an inspi­ra­tion to both men and women alike; and in Amer­i­ca, her name became syn­ony­mous with her dili­gence and intel­li­gence, as well as with the ener­gy that shown forth from her smile. But her name had an even greater mean­ing, espe­cial­ly to her STS-107 astro­naut col­leagues. For, remark­ably, the San­skrit word “kalpana” means “imag­i­na­tion,” or “a dream,” or “some­thing that is almost impos­si­ble to reach.” In this respect, her name applied to each of them! 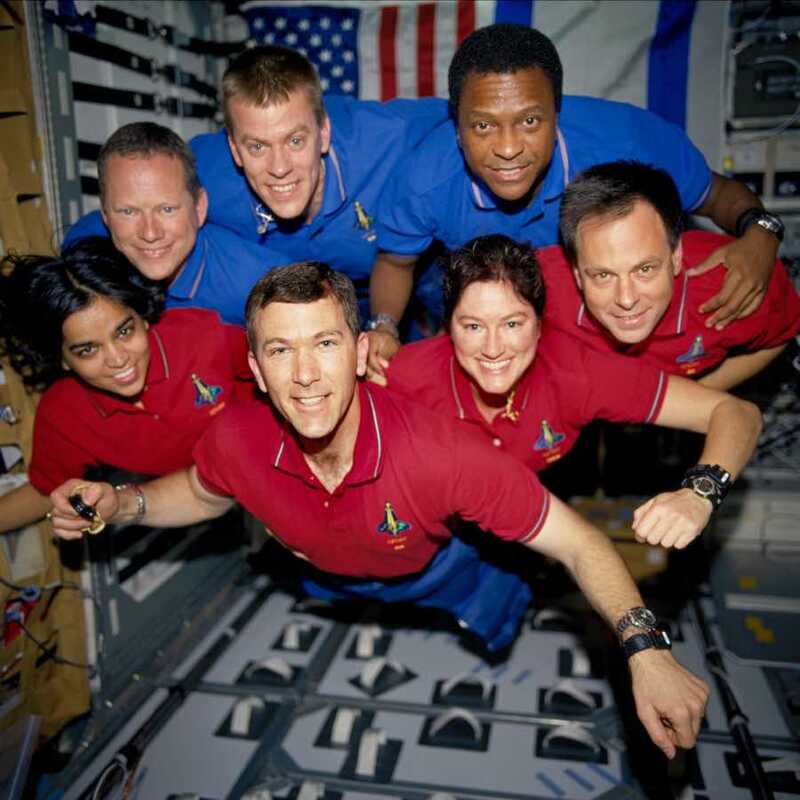 For the STS-107 crew, this Colum­bia mis­sion into space was a great imag­in­ing, a great dream, a great “kalpana” that had tak­en most of their lives to reach. Each of the sev­en astro­nauts had strived hard for so long, indi­vid­u­al­ly at first, then togeth­er for years as a team, and final­ly they were soar­ing to the stars, final­ly they were work­ing in space! For each of them, it was the high­est point of their lives, the big dream come true. So, although a trib­ute to them all and espe­cial­ly to Kalpana Chawla, this music rep­re­sents “kalpana,” the great dream they each had and shared. Lis­ten close­ly, try to hear it; try to see it clear­ly, glow­ing in their faces.